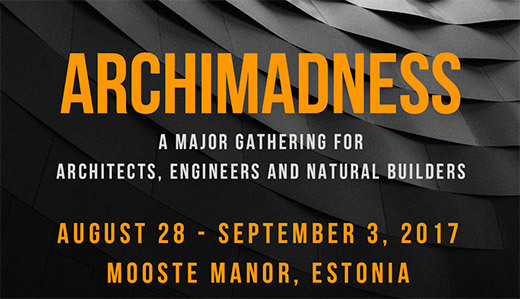 Did you know that Estonian earth building heritage is unique in the whole world? It’s a treasure to be proud of. We have launched several projects to include people and organizations from within and beyond Estonian borders to help maintain and revive this heritage. Now we need your help to take the next step and develop solutions for renovating old clay buildings and putting them to use in accordance with today’s needs and possibilities. A freely distributable guiding material will be developed based on your work which could be used in Estonia and other countries with similar problems. To tune in we start with a two-day earth building workshop. It is led by trainers from Amàco, from France, cream of the crop in the field. It is a fascinating combination of science and building techniques. have a chance to thoroughly get to know these buildings. The fourth day will host an open conference and a mini-fair, where companies and organisations active in the field present their products and services. Inspired by the Garage48 concept, the next 48 hours is dedicated to group work where participants develop solutions for renovating old earth buildings and putting them to use in accordance with today’s needs and possibilities. A freely distributable guiding material will be developed based on this group work. On Sunday, we will end with a festive ceremony – sum up the event, make plans, hand out certificates and thanks. The fee includes access to the whole event (August 28 – September 3) and 3 meals per day. The whole program is in English. EESTIMAAEHITUS Competence Center for Traditional and Ecological Building.